Now that we are into the 2018 tax year, we thought it timely to update you on the new tax payment rules that apply. The draft version of these rules were first mentioned in our August/September 2016 Newsletter. No UOMI on the first two instalments of Provisional Tax, provided these are based on the standard uplift and the tax is paid on time. UOMI will apply from the third instalment. In order to take advantage of this concession, all associated parties must also use the standard uplift method or the GST Ratio Method. − By the due dates, make the three Provisional Tax instalments required by the Standard Method. 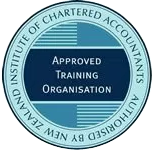 − Not engage in a Provisional Tax avoidance arrangement. − Not change to the Estimation Method for P3 after using the Standard Method for instalments P1 and P2. The ongoing 1% monthly late payment penalty has been removed for taxes falling due on or after the beginning of the 2018 income year, typically from 1 April 2017 for Income Tax and Working for Families Tax Credits, and periods ending after 24 March 2017 for GST. Inland Revenue will be permitted to disclose information to approved credit rating agencies about taxpayers who have significant tax debts. Currently this is only likely to affect non-individuals (Companies and Trusts), but the IRD is working with the Privacy Commissioner to effect changes that will enable this power to apply to all taxpayers. − A serious breach of a director’s duty to act in the best interests of the company. − Breaches of orders and prohibitions. − Breach of restrictions on involvement with phoenix companies. − Report specified identity (including tax residence) and financial information on those accounts to IRD. IRD will then share that information with other tax authorities in other jurisdictions under tax treaty exchange of information provisions. Likewise other tax authorities will provide appropriate information to IRD about offshore accounts operated by New Zealanders. The introduction of the two new Provisional Tax payment methods – the Accounting Income Method (AIM) and paying Provisional Tax on behalf of related parties (Provisional Tax Attribution or PTA) – will come into effect from the 2018/19 tax year. We will discuss these items in a future newsletter.